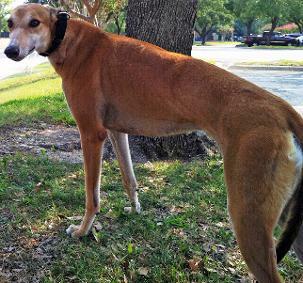 History: Fawn girl Glory is the pup of CTW In the News (dam) and CTW Plaza Rio (sire) (which makes her “half sister” to Dana, Dancer, Lena, Easy (Hobbs), and Mercy). Glory was off to the races at Wheeling Downs on April 11, 2014. She showed great promise as a Grade A, AA and Stakes racer but retired on November 2, 2014, when she hurt her front leg. Now she’s only racing to the couch. 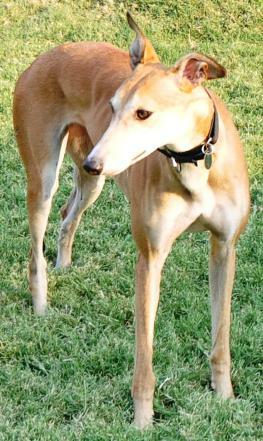 Glory and new mom, Beryl, will be living with Lucy and Bailey (TAGS alum formerly Watson). October 14, 2017 update: Glory found her forever home with new mom, Beryl, will be living with Lucy and Bailey (TAGS alum formerly Watson). Congrats to all! 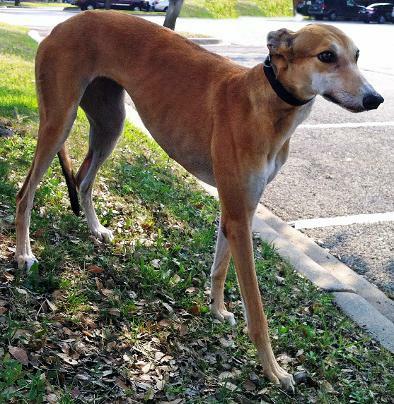 September 15, 2017 update: Glory did a stint in a home but was recently returned (the second Greyhound returned by the same owner). She was with many other dogs of all sizes and breeds and additional outside cats. More supervision and attention to personalities was needed. 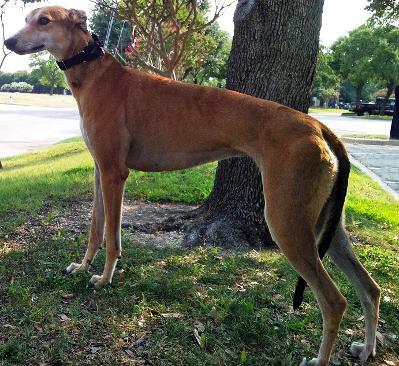 Now Glory is in a foster home with three (sometimes four) other Greyhounds (both male and female) and she is thriving. She was in this same foster home a few years ago, and she settled right back into the routine without issue. It’s amazing what the dogs remember!!! Glory is a very friendly but not overbearing girl. She gives kisses when she gets excited in addition to her whole body wiggling. She loves her soft beds and will take whichever one is available. She is crated when her human is gone but she would probably do just as well un-crated. Glory is a petite girl with a very flat coat of hair. Her face is a very light blonde which really makes her beautiful eyes stand out. 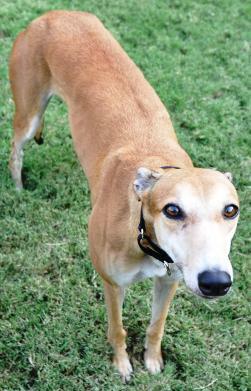 She will probably do well in a home with dogs over 20 pounds – and Greyhounds, of course. August 15, 2017 update: Glory was returned almost two years after she was adopted from a home with numerous animals. 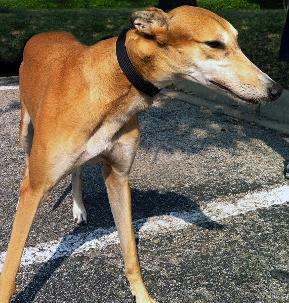 She is now getting used to a more quiet life in a foster home with one other Greyhound. She is doing well. We will cat test and small dog test her once she has been in a foster home for a while. She’s still the same sweet girl. October 10, 2015 update: Glory, along with Justina found their loving lifetime home. Congrats to them and their new family. 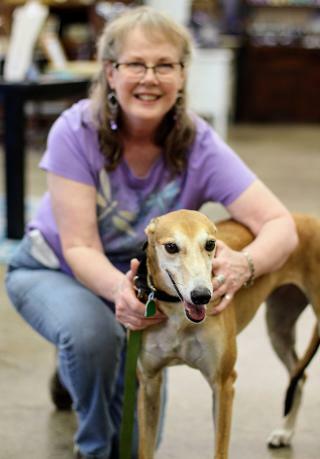 August 27, 2015 update: Glory came to TAGS for a life of retirement and to find her loving lifetime home.